The FS 104 Speaker Stand Range are an open frame design which produces an open and dynamic sound. The principle of the design is to have a rigid, light weight frame which has the minimal influence on dynamic speakers. 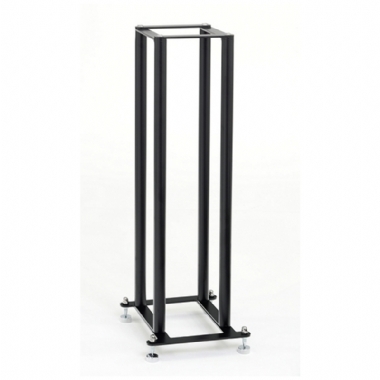 Centre column speaker stands are often mass loaded to prevent resonance, but this can also enhance the bass performance of your speaker, which can influence the sound reproduced by your speakers and equipment. The Fs 104 speaker stand range provide the minimal effect allowing your speakers to fulfil they performance.